In association with Bainbridge Island Parks & Rec, I'll be teaching three shellfish foraging and cooking classes this spring. 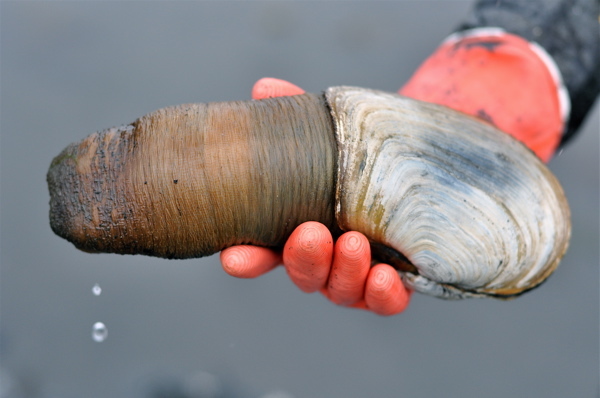 Two classes will focus on steamer clams and oysters, while the third will be in pursuit of the legendary geoduck, world's largest burrowing clam. 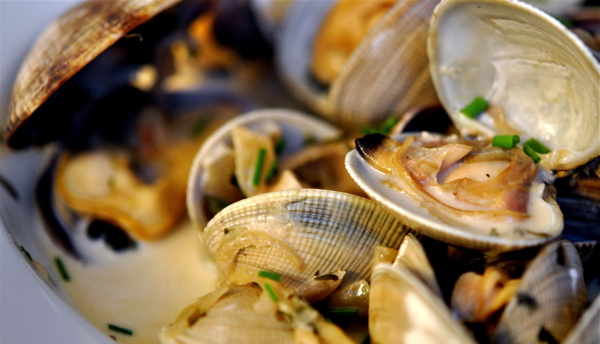 May 1: Shellfish Foraging & Cooking. Bring your rubber boots and bucket. 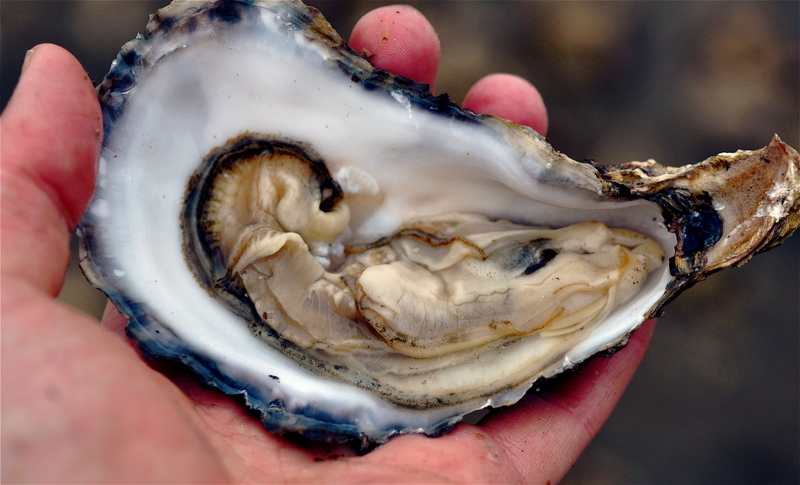 We'll learn how to dig for clams, shuck oysters, and cook our catch. 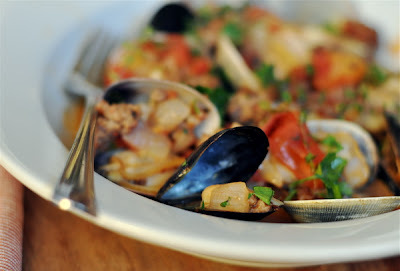 Lunch will be littleneck clams steamed in white wine sauce at a nearby picnic area, with oysters on the half-shell as an appetizer. May 18: Same as above. 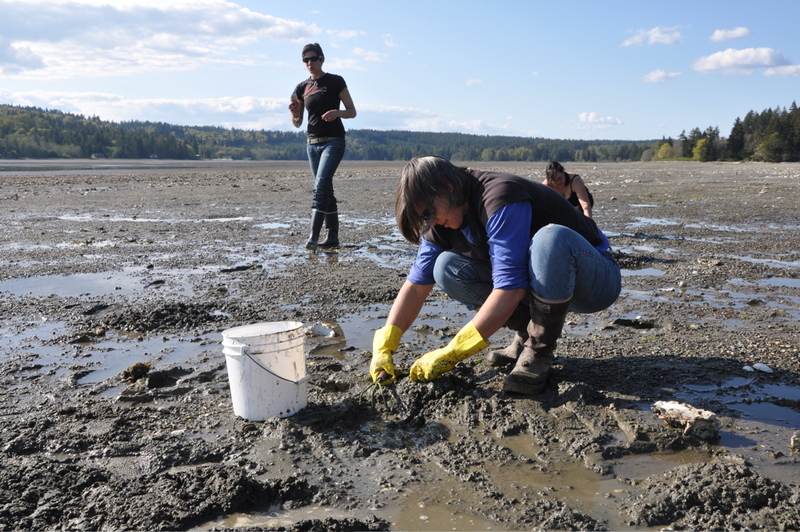 June 15: Geoduck Dig. 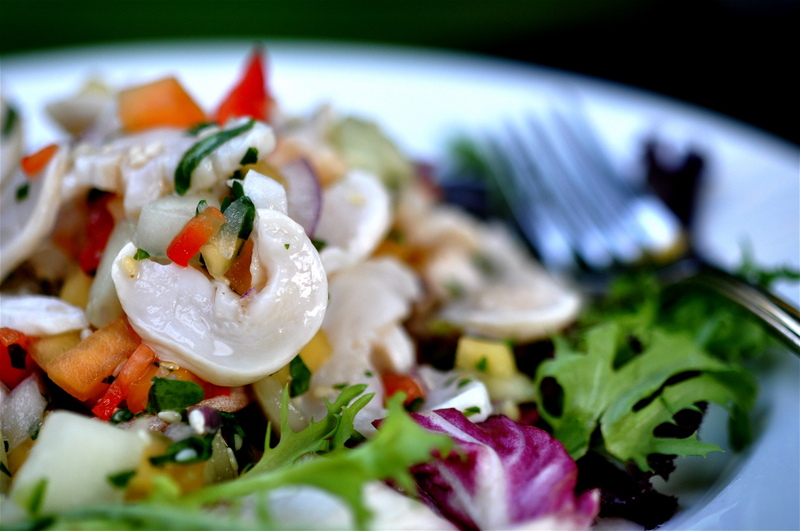 We'll learn the finer points of wrestling a giant geoduck clam from its lair, then repair to a nearby picnic area to make a delicious ceviche. Class size limited. More information is available through Bainbridge Island Metro Park & and Recreation District. To register, please call 206-842-2306 x115. Woot-woot! I finally got in a class! : D Yeah! Right on! See you at the beach. I'm a little sad that the focus of this blog has shifted from brilliant wild food thoughts to marketing platform. I guess everyone needs to make a living but that's what a website is for- not a blog. That said- I still admire your work. I just don't direct as many other people to it now. Sounds awesome. I would most definitely like to join, but my schedule is up in the air. I'll send you an email last minute to see if there are still any spaces open. As an "arm chair forager", I personally welcome the opportunity to go out on a guided foraging class to try my hand at it. It's easier for me to sign up for a class than plan everything on my own. I met my wife at a dance class, never know who you'll meet on a foraging class. Anonymous #1: Believe me, I'd like nothing more than to focus on my adventures in the outdoors and in the kitchen, but as a working writer I need to make a living and at the moment our society is in the midst of an unprecedented debate about whether and how it's going to compensate writers, thus the need to branch out. Also, I've been getting requests for these sorts of classes since the moment this blog went live and now that I've finally thrown my hat into the ring it only makes sense to reach the widest audience. I hope you'll persevere through the bizness bits. Anonymous #2: Hear hear! I'm an armchair paraglider among many other armchair activities I don't have time or inclination to do. Anonymous #1: BTW, thinking about your comment re: blog vs web site. I'd never considered the difference, but maybe it's time I got my own site. Would these extracurricular posts be more appropriate on a full-fledged web site? I dunno. What I do know is I don't have time at the moment, but maybe down the line I'll develop a site. I'm So excited about this. Husb and I will probably be there! yay! still wish I could get my schedule to mesh up... Grr.. Recently moved back to the "Wet" side from Tri-Cities. I have some experience hunting for Chanterelle's (sp? ), but would be most interested in attending a foraging class-PLEASE consider doing another one soon. Also, I love blogs and MOST Blogger's use it as a facilitator for income. I wouldn't change it to a site, as the person-ability factor is essential for those of us who truly want to feel connected to the Author. Websites are ok, but I much prefer following Blogs. Don't mind the "Troller's" as there will always be some present. Unfortunately, not enough people say positive things and too many people have something negative to say. I love local living and simple, sustainable eating of said foods and so appreciate this blog. My niece attends Bastyr, have you given any thought to doing some classes there? I bet you would be a hit with the starving college students! Awesome blog content, I am definitely going to buy the book and wait patiently for an update regarding future classes/dining experiences available. I don't want to miss a thing. Another great book I recently purchased is called "Wandering and Feasting, a Washington Cookbook" -Wonderful recipes!